Some of the women department chairs and leading administrators at Brooklyn College. 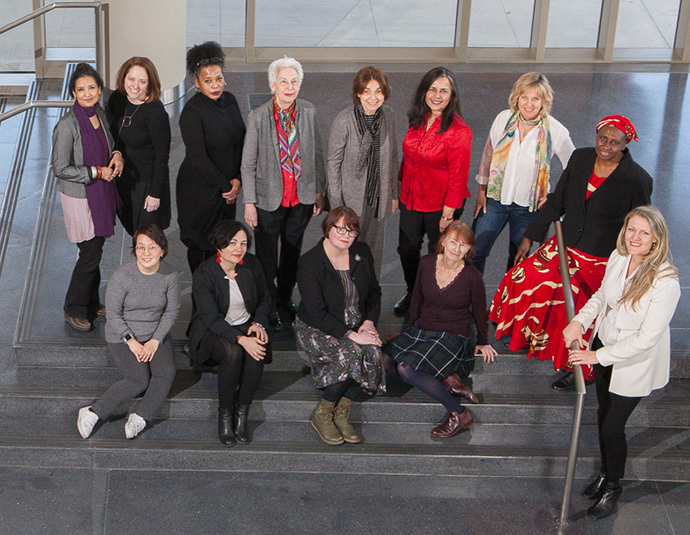 Left to right (standing): Gunja SenGupta (History), Danielle L. Kellogg (Classics), Prudence Cumberbatch (Africana Studies), Sara Reguer (Judaic Studies), Susan Longtin (Communication Arts, Sciences, and Disorders), Maria Perez y Gonzalez (Puerto Rican and Latino Studies), Jennifer Cherrier (Earth and Environmental Sciences), Namulundah Florence (Kinesiology), and Brooklyn College President Michelle J. Anderson. Left to right (seated): Yoon-Joo Lee (Childhood, Bilingual, and Special Education), Maria Contel (Chemistry), Jennifer Basil (Biology), and Kathleen Axen (Health and Nutrition Sciences). Photo by David Rozenblyum. According to the American Council on Education, women account for only 30 percent of college presidents and 44 percent of chief academic officer posts. The American Association of University Professors finds that nationally, just less than 40 percent of full-time faculty members are women. But at Brooklyn College, where we now have our second woman president, Michelle J. Anderson, in addition to a woman provost, a whopping 74 percent of department chairs are women. In addition, nearly 43 percent of our full-time faculty members are women, and 59 percent of our undergraduate students are women. During Women's History Month, we salute the women of Brooklyn College for their leadership, their scholarship, and the invaluable distinction that their very presence contributes to the institution. 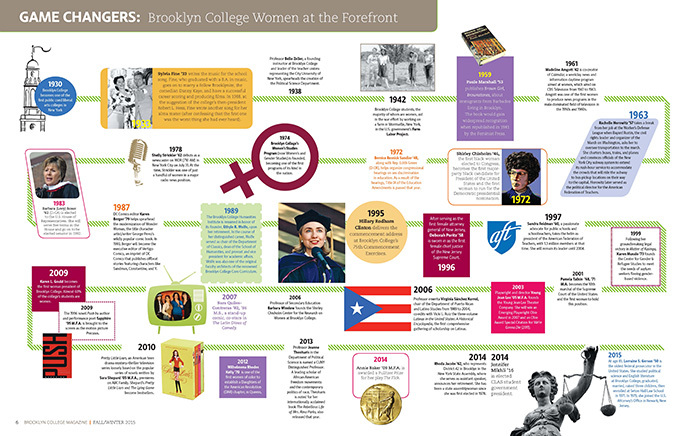 Notable Brooklyn College women over the years.